The thing I love most about working in a creative industry like blogging is the people you meet. 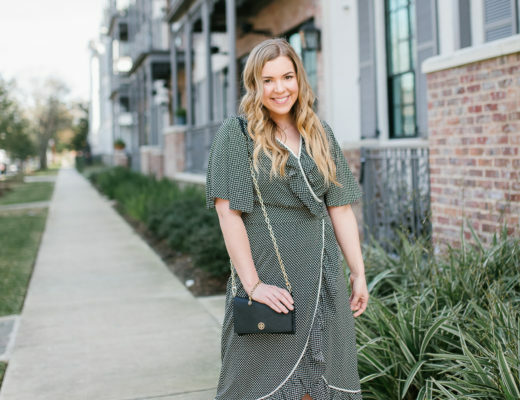 Driven, hard-working and innovative are a few words that describe each and every blogger I’ve met in Houston. There’s a uniqueness that sets creatives apart from most people I know. Maybe it’s found behind camera lens or computer screens, conjured in late nights and early mornings when the world is asleep and it’s just us trying to make things happen for our art, waiting for the other shoe to drop. 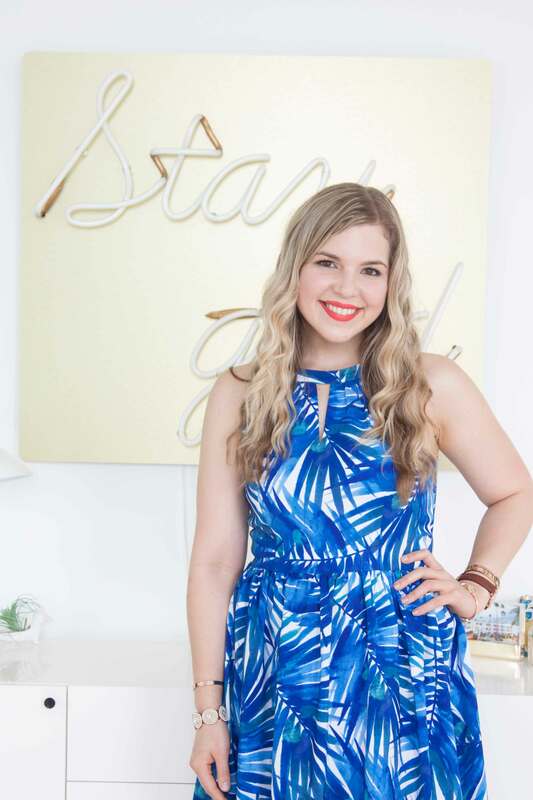 Sugar & Cloth‘s Ashley Rose has been the confused millennial, overworked waitress, full-time employee/full-time blogger, a 5 a.m. alarm setter, and most infamously the girl who sold her things on Craig’s List to make her DIY studio a reality. The best part? I get to call her my friend. 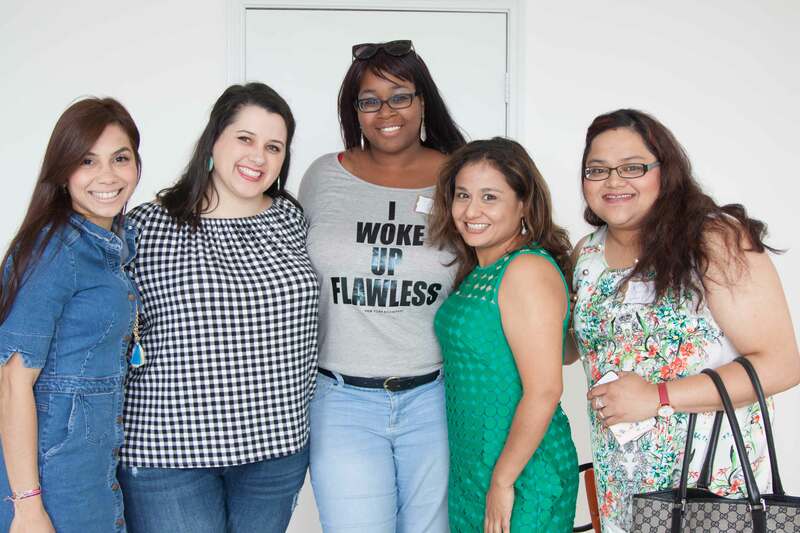 I recently started a chapter of The Blogger Union in Houston, after being approached by blogger Paola Mendez of Coral Gables Love and mentor/author Nikki Novo. The Blogger Union is a monthly meet-up, giving bloggers a space to share their knowledge, learn and support each other. My favorite element of the group is its focus on kind collaboration over competition. Blogging, depending on where you are, can be a catty bubble of superficiality built on fake fans, exclusive event invitations and a slew of insincere Instagram and blog comments. (Yep, I said it. I’m talking about the people who leave the “Like it!” and “100%” comments on often heartfelt posts…don’t do it!) To kick-off my first monthly workshop, I couldn’t think of a better person to invite than Ashley. Ashley was the very first blogger I met in Houston. 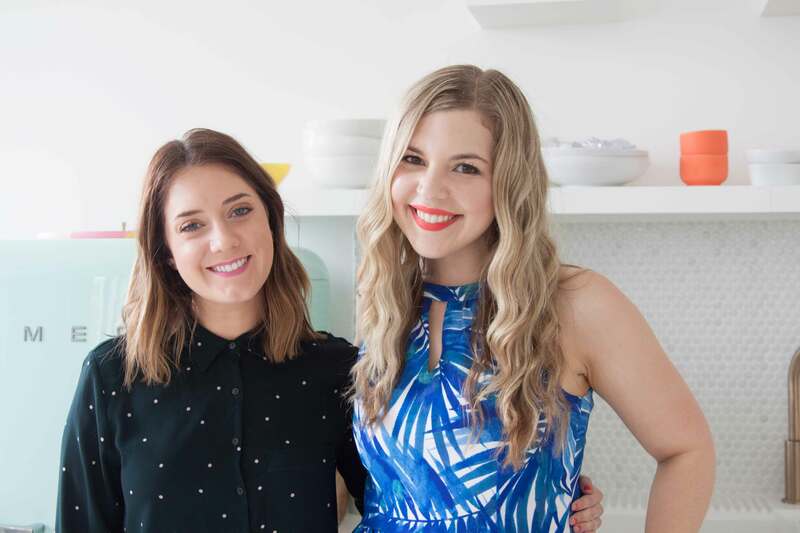 We went for manicures, got really weird neck massages in the process and talked about my day job… which ultimately led to me talking about my side job, Cup of Charisma. She had invaluable advice and with good reason. 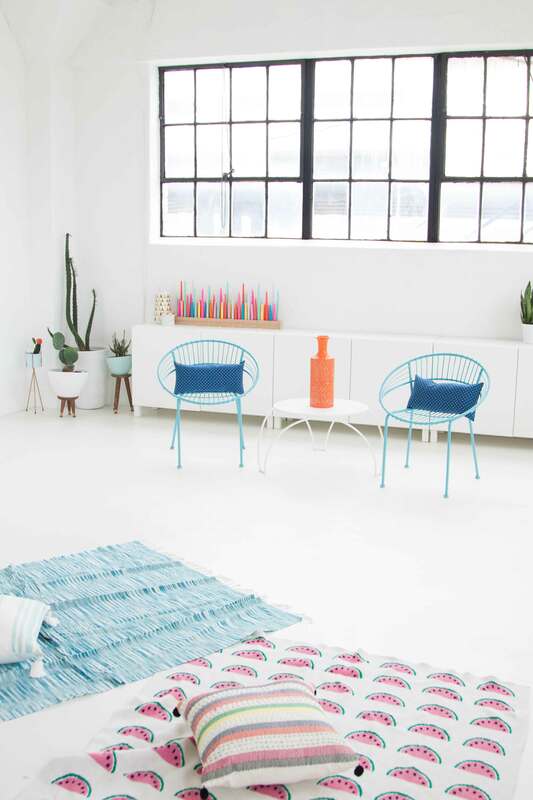 Ashley has been named Editor’s Choice for Best DIY Blog by Better Homes & Gardens, a Top DIY Blog to Follow by Yahoo!, a Top 10 Instagram Account to Follow by Huffington Post and Design*Sponge, and a guest pinner for Martha Stewart Living. 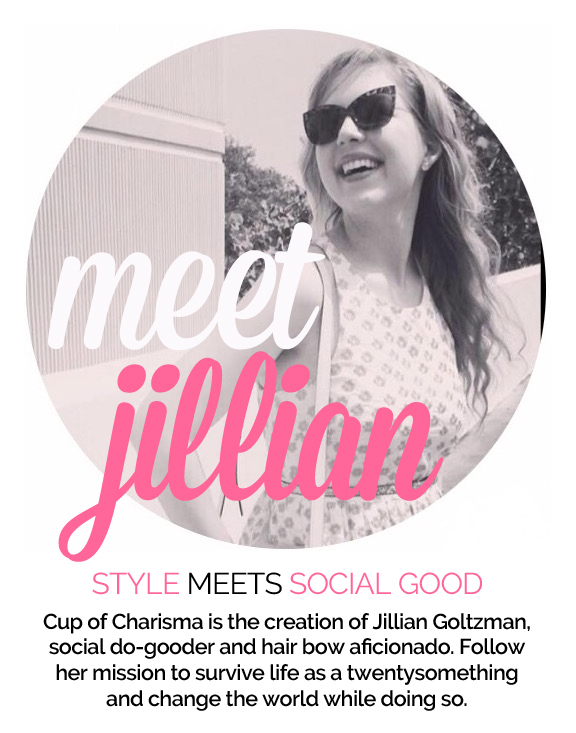 She’s been featured on the Every Girl, Glitter Guide, Houston Chronicle, Today Show, and the list goes one. I can brag all day but I have a point to get to, so check our her notable press here. She continues to inspire and motivate me with her amazing work, so I am so glad she was able to share her knowledge and invite us into her studio space. 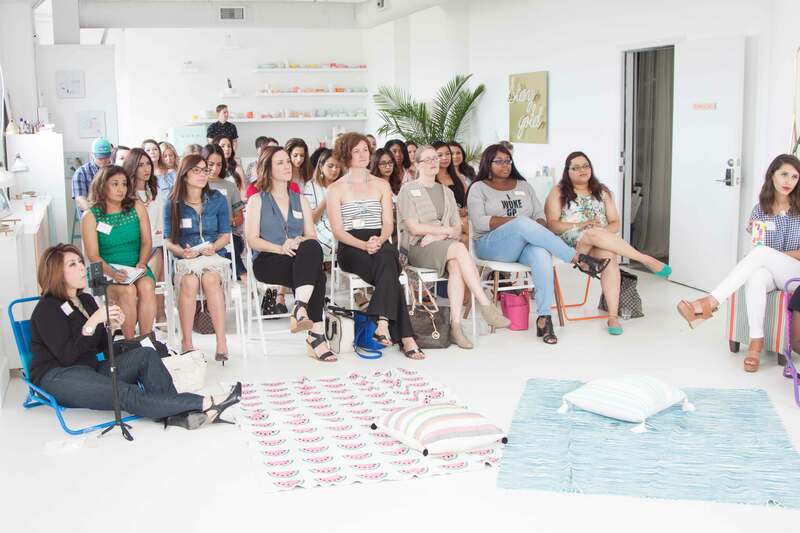 If you missed our meet-up, I’ve rounded up a few of my favorite points. 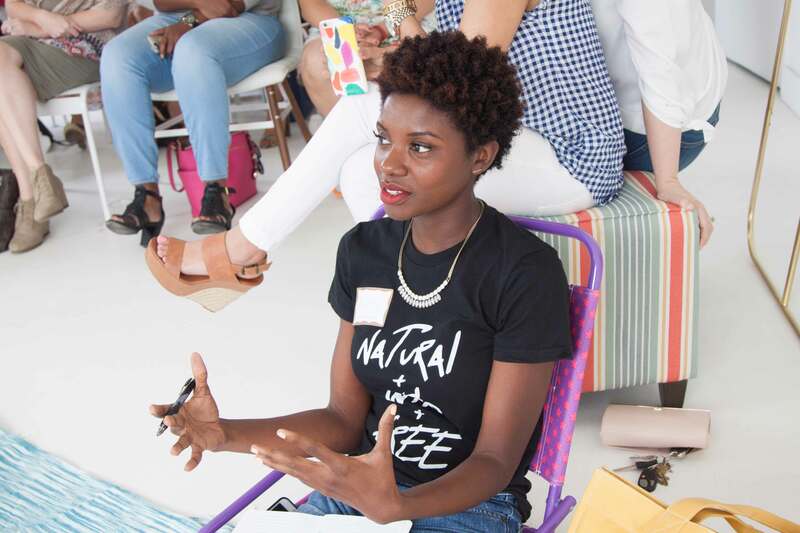 She didn’t imagine the blog would exceed the eyes of her family, but it was a start that opened doors, led to jobs and ultimately led to her self-employment. 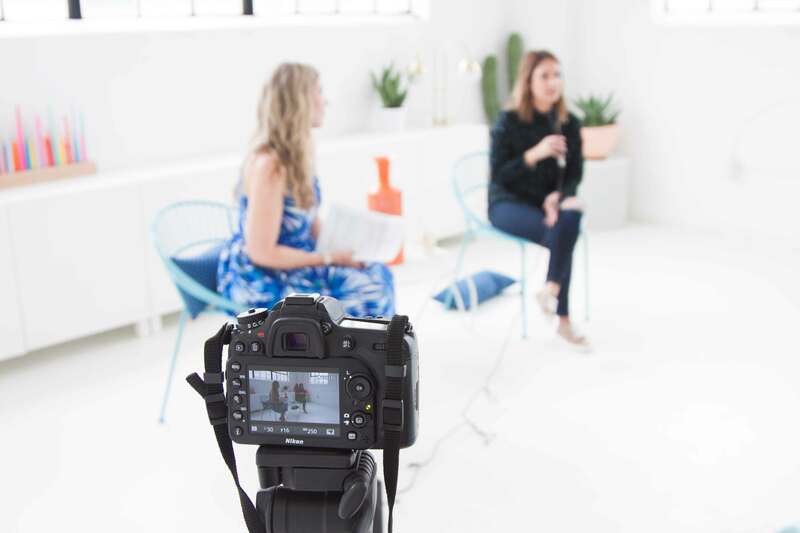 If you’re a blogger or a creative entrepreneur, this is no secret. Many of us show up to work at our 9-to-5 jobs (which can still be creative and very fun if you’re lucky) but daydream about that article, painting, podcast, book, blog post, etc. that we’re coming home to. I listened to an episode of Millennial that I felt to be so relatable recently, where Megan Tan (the podcast’s creator) woke up to her obnoxious alarm at 3 a.m. to churn out another podcast. The reason why it struck me was because it was MY alarm… the same unsettling noise I wake up to at 4 a.m. most mornings to write this blog, edit photos and submit freelance articles. If you’re having this same epiphany, I hope you realize that it’s OUR alarm. It’s in inconvenient but welcomed distraction from the mundane grind that gives us edge and adds color to our lives, sometimes at the cost of our energy and free time. When Ashley did finally decide to go full-time, it wasn’t because she was at a job she couldn’t stand (she had moved on from waitressing). It’s because she continued to do what she was passionate about (spread incredibly thin) and realized that if she were her full-time employer, she wouldn’t want an employee who’s heart wasn’t fully there. Nothing is as perfect as it is on Instagram or in a blog post. 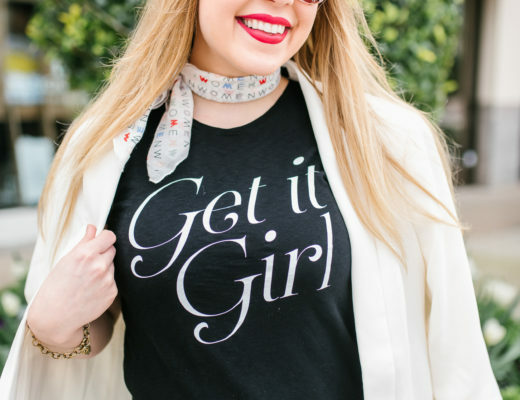 Thankfully, Ashley does a REALLY great job at demystifying her journey and transparently sharing the struggles she experienced to go full-time. At one point in her career, she was scavenging her studio for things to share on Craig’s List. “It’s never going to be easy,” she admits. 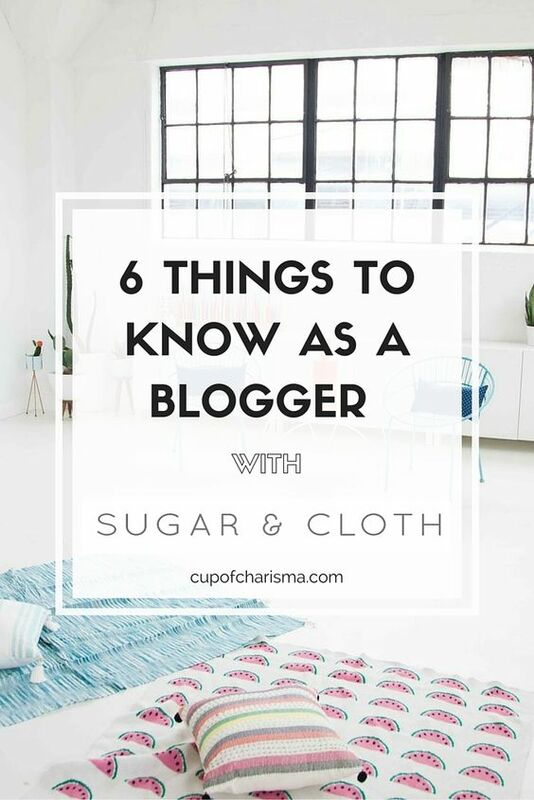 Working with brands can be a gray area for many bloggers. Ashley stressed the importance of evaluating if the product would be valuable for readers at the end of the day. While doing things for a quick buck can seem of interest to new bloggers, staying true to your voice and opinions is one of the most valuable tools. It’s also important to be honest with your readers about what’s a partnership and what’s not. Just because a brand can’t work with you now, doesn’t mean they won’t keep you in mind for later. Send those media kits and pitches! Ashley’s rule of thumb: when creating a sponsored post, keep your costs a 10% of what you’re being paid. Don’t be the person that makes it “okay” for brands to not compensate bloggers. Know your worth and stand your ground. After Sunday’s meet-up, I was reading a thread in a Facebook group for bloggers that infuriated me. Admitting to receiving around 1,500-3,000 page views per month, a young blogger was asking this unnamed Facebook community how much she should charge for a post. People began to say $30 was “pushing it.” Here’s a small confession: I worked with a brand on large-scale partnerships before that matched a two-week 9-to-5 salary and I didn’t have 100,000 readers to do it. Did that brand care? NO. Why? Because they liked the high-quality content I delivered. I’m not saying every partnerships will be the value of your typical paycheck, but you can find the rate (the common amount I hear is most often $200-$500) that works for you. I keep myself pretty busy outside of Cup of Charisma. I write for Miami.com, the Miami Herald newspaper, Huffington Post and LAPALME Magazine. I also apply for freelance writing gigs at the same rate I applied for colleges my junior year. Teen Vogue, InStyle, The Every Girl, Hello Giggles, and 1,000 other publications have my pitches waiting to be read in their inbox. I’ve questioned this effort, especially when my pitches are landing me nowhere. Why should I strive to put out content for others when I have my own site to focus on? 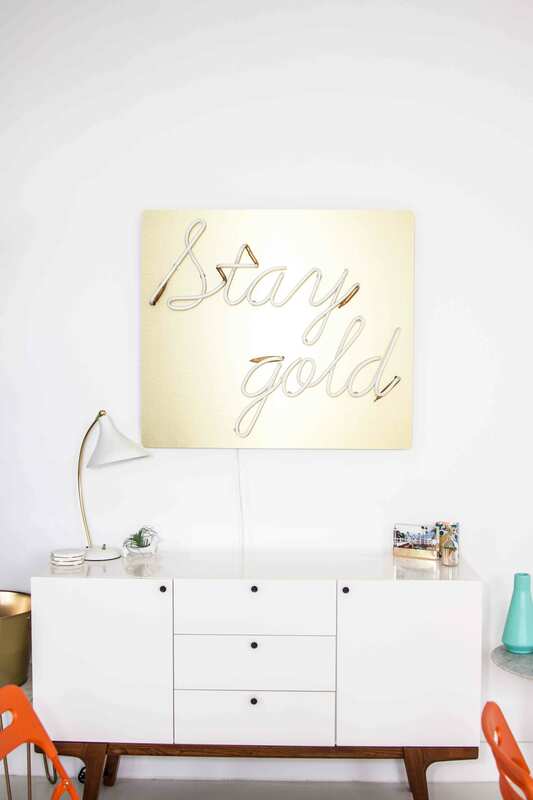 Ashley has contributed her DIY projects and blog posts to tons of online sites for bylines, with good reason. She reminded us all that one of the best ways to gain an organic readership is to contribute to various sites that may appeal to target readers. Most importantly, we shouldn’t just be contributing… we should be giving our absolute best. If we’re exposing ourselves to potential readers, shouldn’t we make it worth their while so they come back? Last year, I had close to zero plans of ending up in Houston. In fact, it was the footnote on my sparkly list of goals because uprooting yourself can be a terrifying and difficult process. 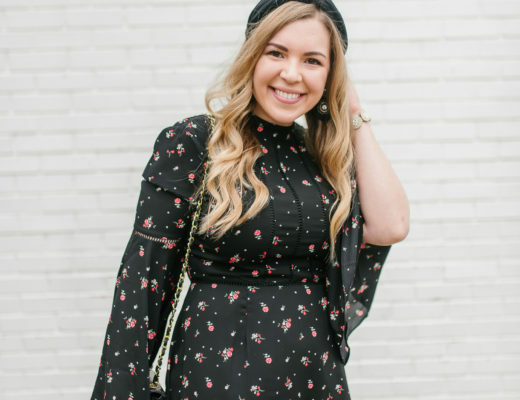 If you were to tell me that I’d make more friends than I’m even used to having, become surrounded by inspiring people I look up to, and be part of a large cause that brings bloggers for the purpose of uplifting each other, I’d give you a double take. 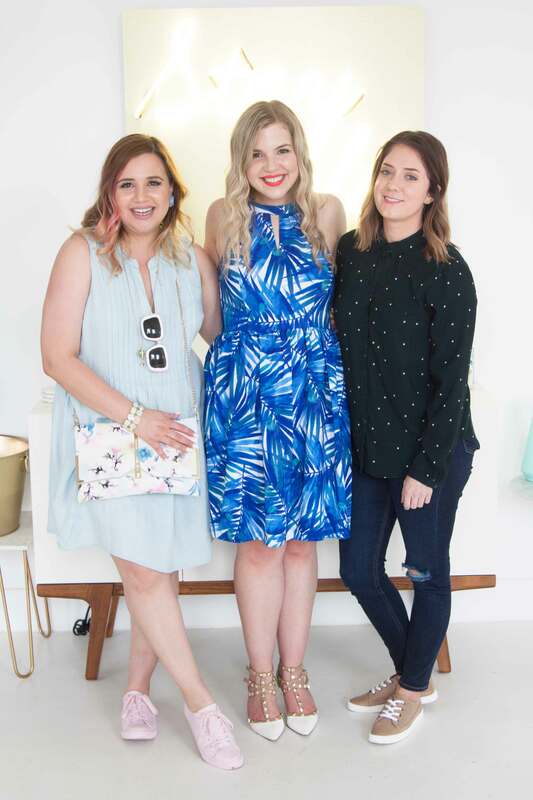 The reason why Houston feels like home is because the supportive blogging community feels like family. 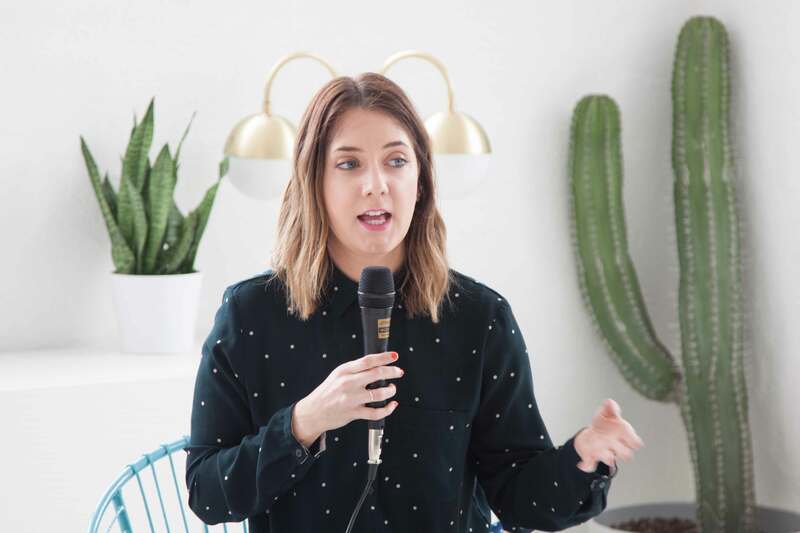 I’m honored to have interviewed Ashley and launched what I hope will become an amazing chapter of The Blogger Union, bringing like-minded creatives together for the sake of our craft. 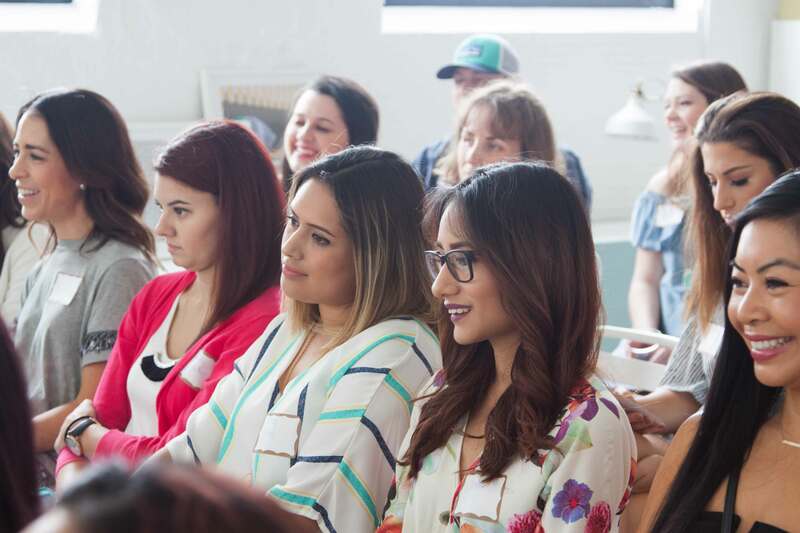 If you want to get involved with the Houston Blogger Union, you can register here or request a chapter in your city. 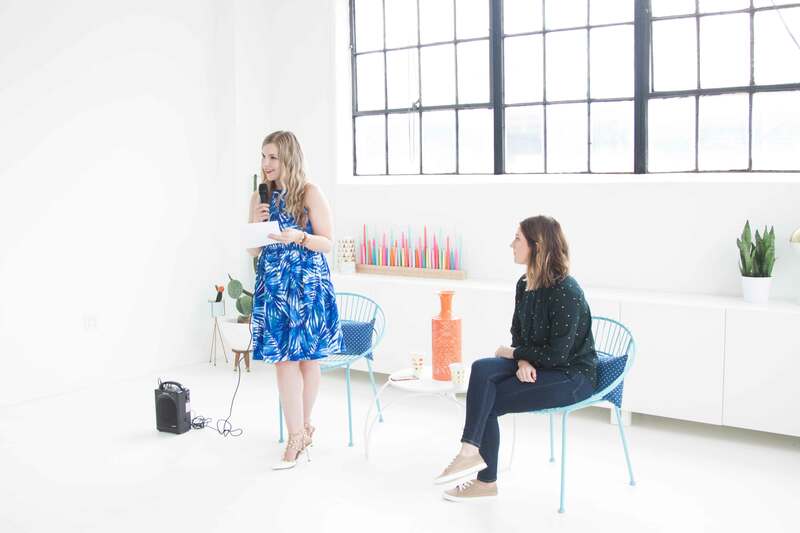 In the meantime, I am planning away for our June 26 meet-up on how to work with brands alongside speakers Jaclyn Kent and Elly Brown. 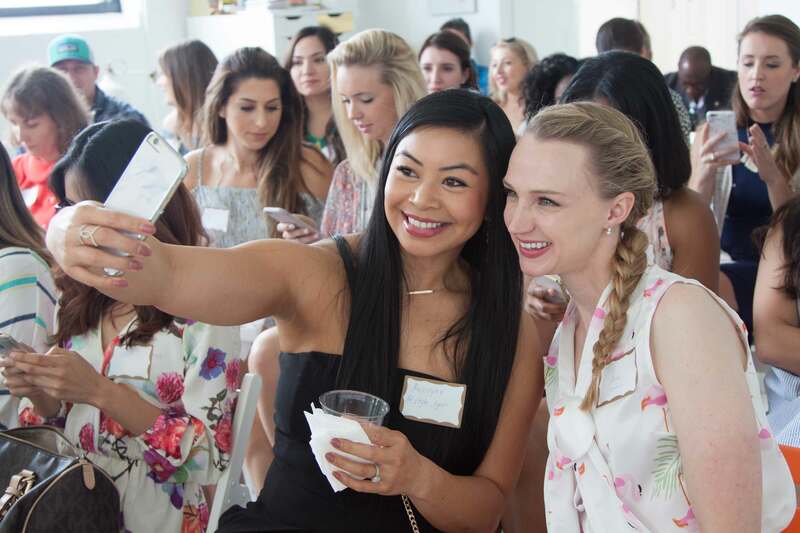 Were you at our May meet-up? Share your favorite takeaway in the comments section! 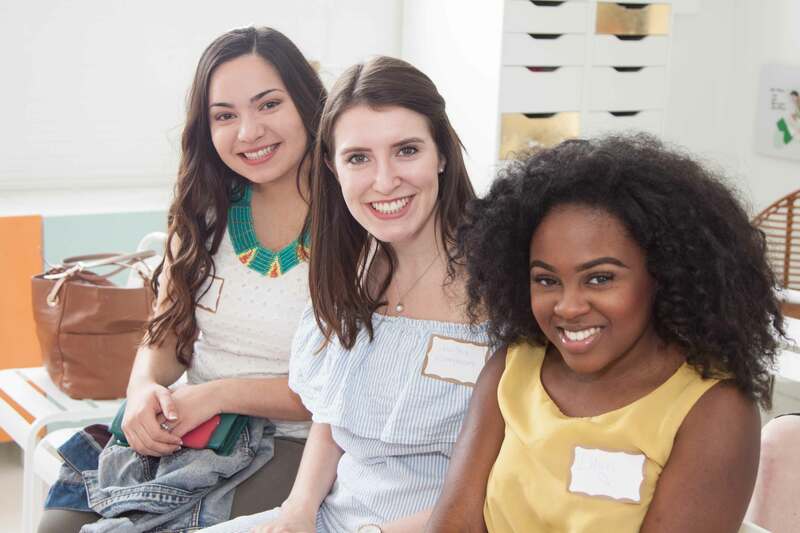 Special thanks to volunteers Nicole Kestenbaum (Lipstick and Brunch) for the beautiful photos and day-of logistics, Jaclyn Kent (Beauty and the Binky) for setup and MAJOR pep talks, and Dede Raad (Dress Up Buttercup) for repping the Houston Blogger Union on social media.